A new tool for managing orphaned assets in the system has been added under the System Tools area. The new Orphaned Assets Tool shows you a list of all assets that don't have a dedicated parent asset. An asset can become "orphaned" sometimes when all of its parent links are deleted by accident, for example via API calls to Matrix or from Trigger Actions. The table on the report lists each orphaned asset including how many child assets it has, who was the last person to update it, and a link to directly go and edit it. The tool also allows you to link the assets under a new parent in order for you to restore them or move them to the Trash. This is effectively an Admin Mode implementation of the already available system_integrity_orphaned_assets.php script that you can run on the CLI as a server admin. Before/After Permissions Updated - This event will fire the Trigger before or after a Permission change has occurred on the asset. For example, if someone changes the Cascade setting on an existing Read Permission. Before/After Web Paths Updated - This event will fire the Trigger before or after a Web Path has been changed on the asset. This includes adding a new one, changing an existing one, or deleting it. Before Asset Content Updated - This event was added to complement the already existing After Asset Content Updated action. This event simply fires the Trigger before the contents of an asset has been updated. The Menu Normal Design Area for Design assets now accepts dynamic values for the Root Node and Menu Level settings using the standard Dynamic Parameters functionality in Matrix. For example, you can now let users control these values from things like Metadata or other dynamic sources instead of having to create Design Customisations for each different menu variation you want to use. 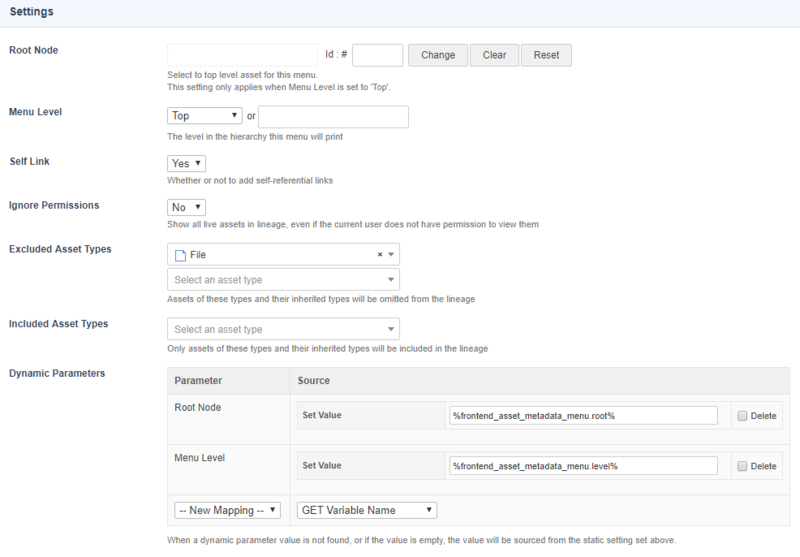 Asset Morphing support has been added to Metadata Field assets. 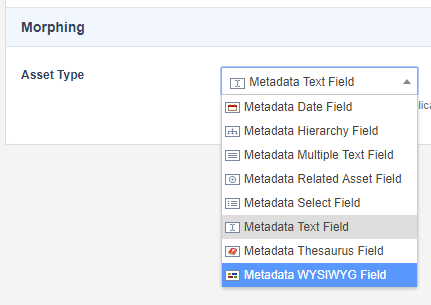 You can now convert any Metadata Field to a different type by simply going to its Settings screen (requires Admin access to the asset), selecting a different type, and saving the screen. A new URL keyword has been added for referencing files from a Git File Bridge. The new %asset_url_with_hash% keyword simply prints the full URL of a file, but with the latest Git hash appended to it. This is helpful for busting browser cache entries of outdated files as the hash value will change every time the file is updated from the Git repository. A new configuration option has been added to the LDAP Bridge that allows you to control which value to use as the unique identifier for a user's shadow asset ID. When the Use User ID as Shadow ID option is set to Yes, each LDAP User shadow asset will use the LDAP entry's User ID value as the shadow asset ID. This also means that your LDAP Users in Matrix won't get affected if you change the user groups or DN structure in your LDAP configuration or IDP. This toggle will also be turned on by default for any new LDAP Bridge assets you create from this version on. If you switch this setting on an existing system, and if there are references to LDAP users outside of the bridge, the new ldap_update_bridge_references.php script will also need to be run in order to the update all existing references in the database. The Details screen of the Metadata Select Field now has an Export To CSV File button that will export all of the select options into a .csv file for you. 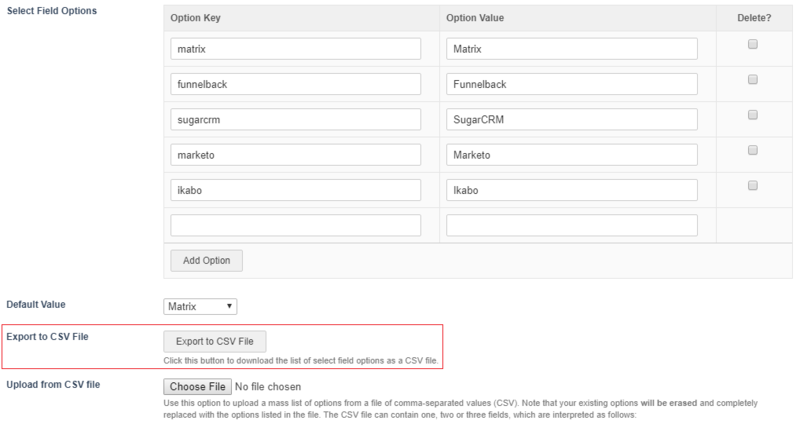 You can then alter the keys and values in the exported file, in something like Excel, and then easily upload it again using the Upload From CSV File field to update the list. You can now store the asset ID of the asset created by the Create Asset Trigger Action in a session variable. You can then use this value as the source for another trigger to action on as a follow up action. For example, if you want to set the status of the newly created asset directly after creation. The SCSS Design File asset now supports the Sass based @import directive for including .scss files into the compiling of the final .css file. Whenever one of the @import file assets are updated, it will also trigger an update of the SCSS Design File so that it automatically compiles and creates a new version of the generated .css file. A brand new Payment Gateway asset has been added to Matrix that lets you easily create e-commerce integrations with the Westpac PayWay system. 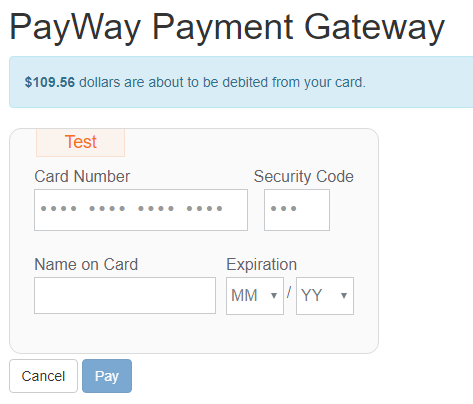 The new PayWay Payment Gateway asset works very similarly to other e-commerce integration assets in Matrix, where it allows you to connect to it using either an E-Commerce Form asset or a Shopping Cart for processing payments. Trigger Actions that change attributes, metadata, or anything else on an asset, now get reflected in the entries for assets. For example, if you have a Trigger that changes the status of an asset, when it runs, the log entry on the asset's Logs screen will now indicate which Trigger caused that change to happen. Several new keywords have been added in order to help with implementations of various functionality. 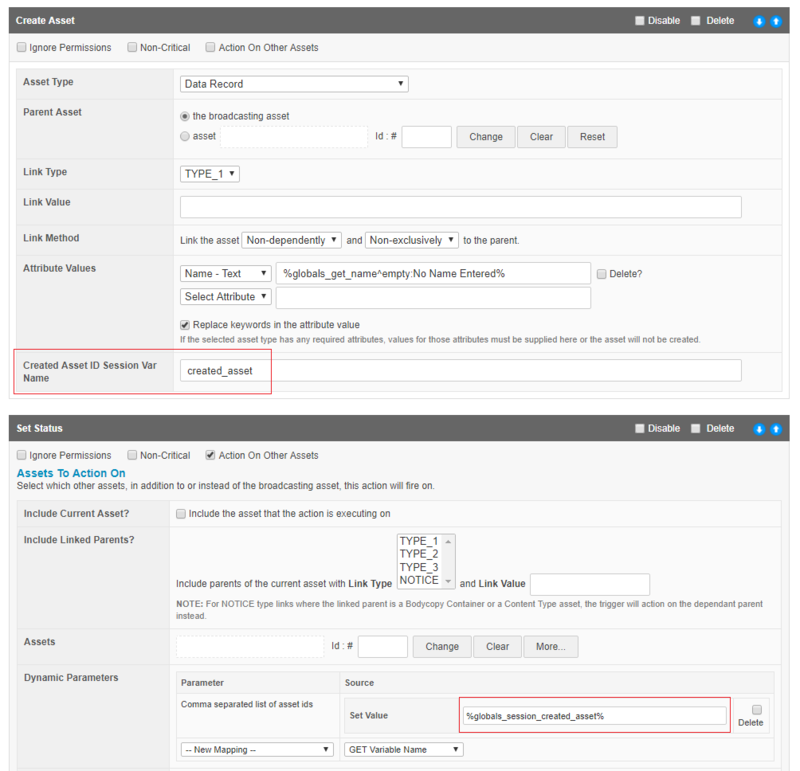 Three new keywords have been added for Custom Form Sections that allow you to print either the section's title, contents, or both, when customising the Bodycopy of a particular section. %section_contents% - Prints the name and the contents of each question of the section. %section_title% - Prints the name of the section. %section_questions_contents% - Prints the contents of each question of the section. New keywords have been added to help evaluate conditions around the current user's access levels. %asset_has_read/write/admin_access% - Prints a boolean value based on if the user has a specific type of access to an asset. For example, %frontend_asset_has_write_access%, will print either 1 if the current user has Write Access to the current frontend asset, or 0 if they don't. %globals_user_is_logged_in% - Prints a boolean value based on if the current user viewing an asset is logged in or not. Three new keywords have been added to check if a certain asset is the site asset, homepage asset, or either one of those. %asset_is_site_asset% - Prints a boolean value based on if the asset is the site asset. %asset_is_index_asset% - Prints a boolean value based on if the asset is the site's index page asset. %asset_is_homepage% - Prints a boolean value based on if the asset is the site asset or the site's index page asset (if it's the homepage). #11347 - Change default value or Send Cacheable Header Protocols to "Both"
#11256 - "After Asset Metadata Updated" event types will fired the trigger multiple times if there are multiple context.